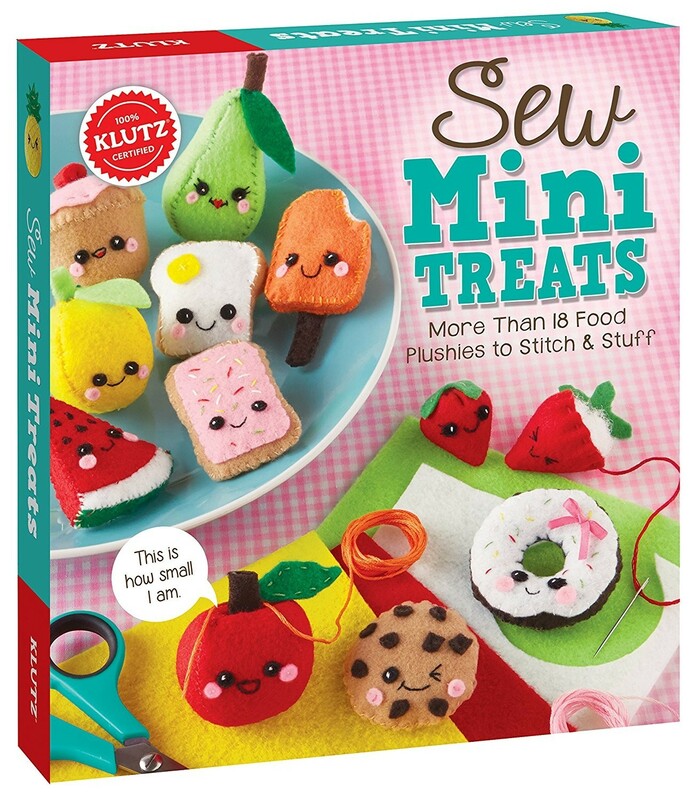 Stitch and stuff your favorite plush foods with Sew Mini Treats from Klutz! 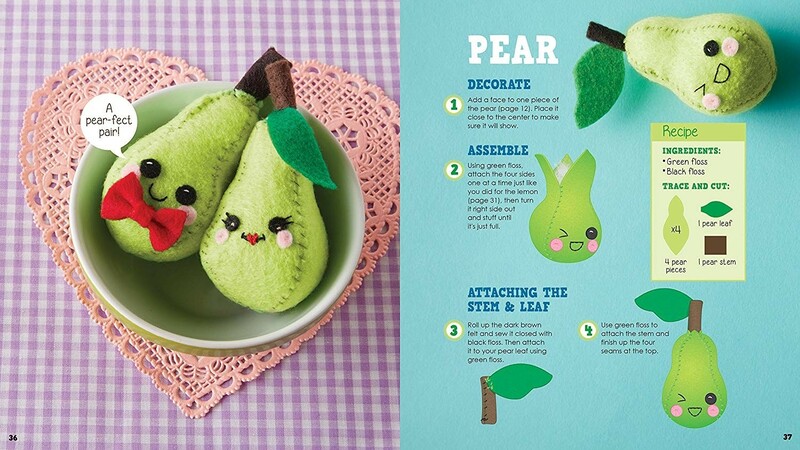 Make your own adorable felt food with fabulous faces. 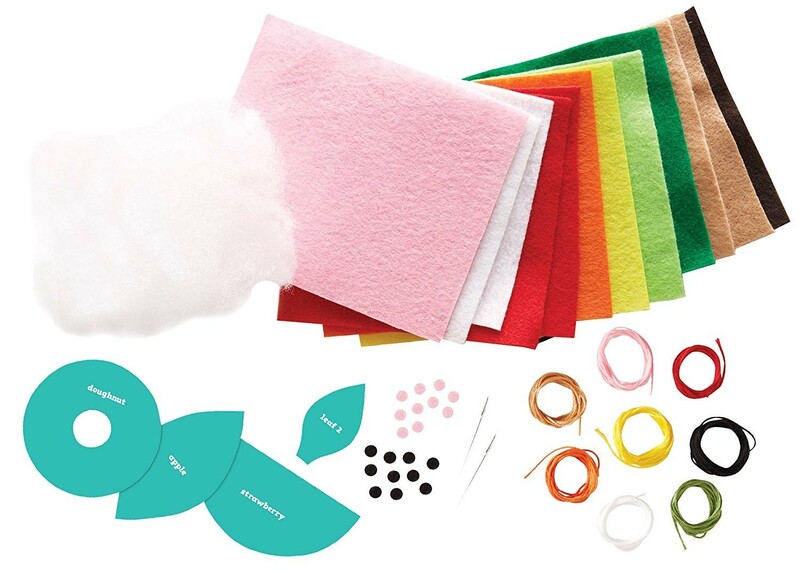 Because each treat is teeny, they sew up quickly, making them a great option for quick craft time — and no prior sewing experience is necessary. 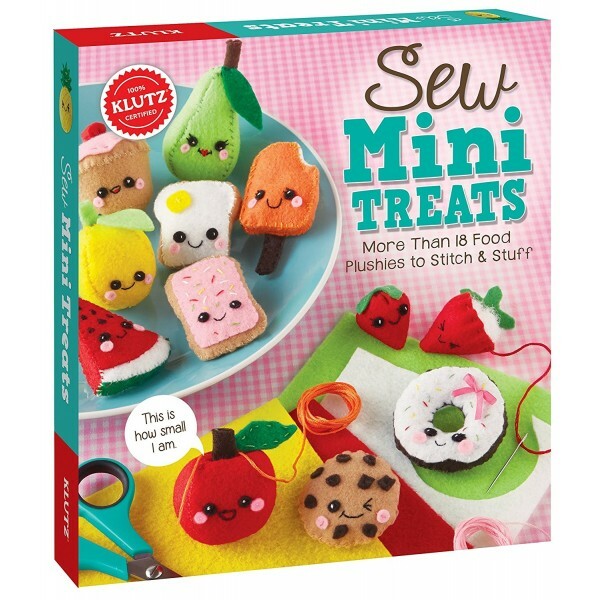 This set includes instructions, patterns, and materials for more than 18 cheerful, itty-bitty food items, as well as tips and tricks to customize your own designs. 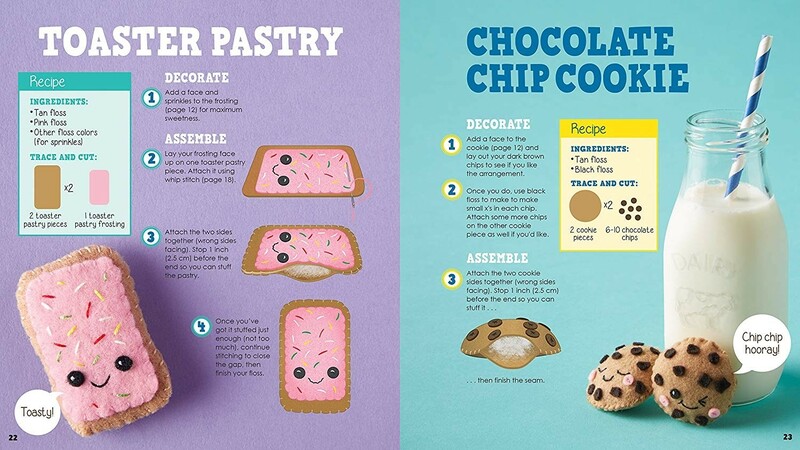 It's an instant recipe for fun!